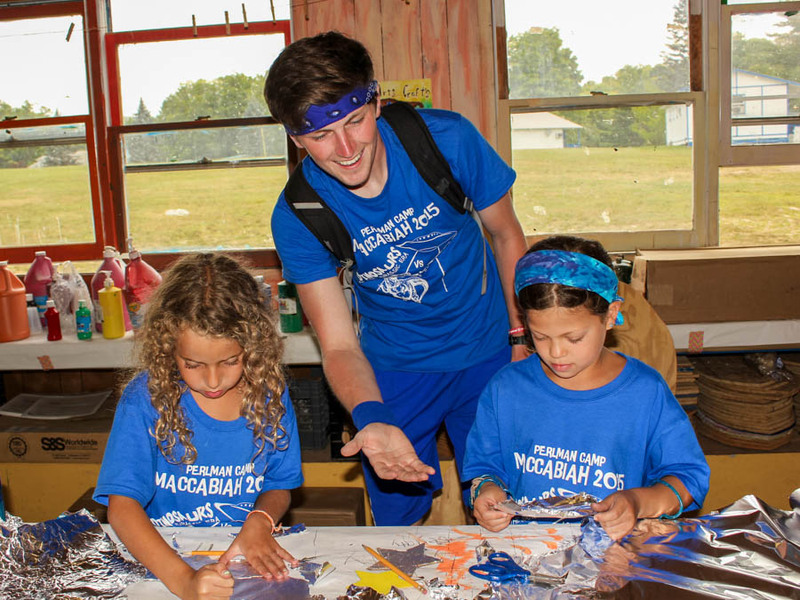 The leadership team at Perlman includes the professional staff, area supervisors, division leaders, social worker, and other administrators. This team manages camper care, oversees program areas, and runs the day-to-day camp operations. Supervisors must be at least 21 years of age, though many returning members of the team have been in their positions for 5 years or more. This team is responsible for keeping camp safe, helping campers who need extra support, supervising staff, and creating the overall camp program. General counselors live in a bunk with 8-12 campers. They are responsible for the overall well-being of the campers in their care. Counselors are charged with identifying and meeting the needs of each camper in the bunk, as well as the needs of the bunk group as a whole. They develop positive relationships with each individual camper, and create an environment where each camper feels both physically and emotionally safe. Counselors are responsible for managing their bunk of campers. They ensure bunk cleanliness and personal hygiene, enforce safety regulations and adherence to camp policies, and supervise all aspects of the camp day including wake-up, bunk clean-up, meal times, rest hour, getting ready for bed, and after-hours duties. Hobby Leaders and Specialists live in a bunk with 8-12 campers. They are expected to build strong positive relationships with their campers and to share duties with the general counselors in the bunk. In addition to their bunk responsibilities, hobby leaders and specialists are also responsible for running a camp activity or program area. Hobby Leaders spend 3 hours per day running their activity, while specialists may spend up to 6 hours per day in their area. Each hobby leader or specialist works with his or her area supervisor to create and implement the curriculum for their hobby. They must keep the activity fun and engaging, while teaching the campers new skills and allowing them to build on their current level of experience. The hobby leader or specialist maintains the cleanliness and safety of his or her program area, and keeps his or her supervisor informed when supplies need to be ordered or repaired. Administrative staff includes office staff, the camp tours manager, and camp drivers. The camp office coordinates all of camp’s communication, scheduling, and transportation on a daily basis. These staff answer the telephone, organize incoming and outgoing mail and packages, and arrange for all camp transportation needs. Perlman Camp’s qualified medical staff attends to the physical well-being of all campers and staff throughout the summer. The round-the-clock team includes three registered nurses, a licensed physician, and a health center administrator. 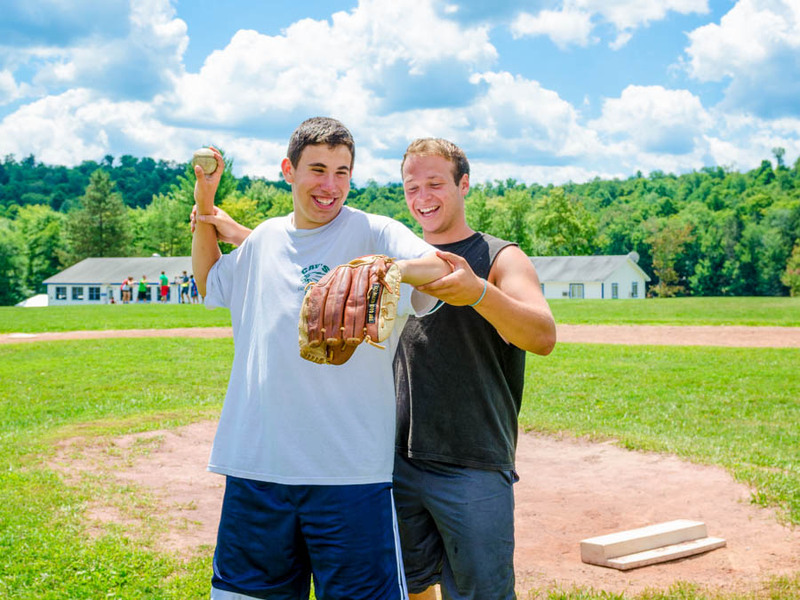 The support staff team at Perlman Camp includes food service, housekeeping, and facility-management. Kitchen staff are responsible for the preparation of three nutritious and delicious meals each and every day of the summer. Kitchen staff work in food preparation, cooking, and cleaning. The housekeeping team attends to the cleanliness of camp’s common facilities and bunks on a daily basis, ensuring that camp remains clean well-maintained for all campers and staff. Our year-round facilities team ensures that the property is safe and looks beautiful – overseeing all areas from building repairs to landscaping and trash removal.